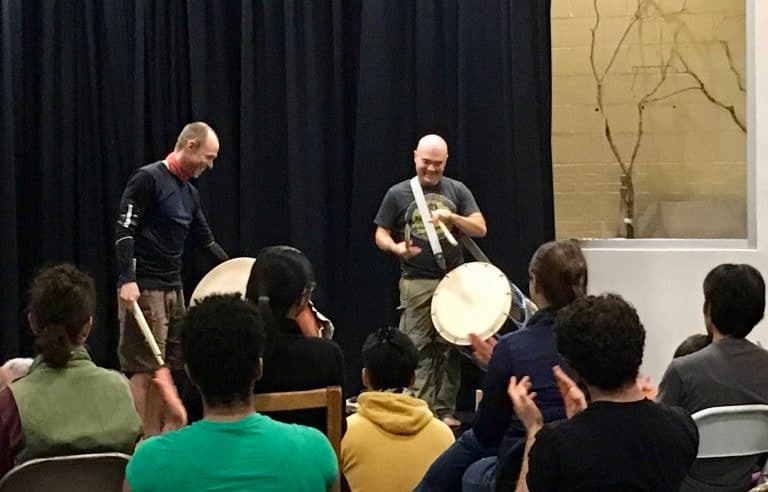 Mark H Rooney – the world’s most dangerous half-Japanese/half-Scottish solo improvisational taiko artist – studies, performs, and teaches taiko, a dynamic form of full-body drumming based in Japanese tradition. Mark combines this traditional foundation with a modern sensibility to create performances and classes that emphasize connection, reaction, and interaction. Based in the Washington, DC area, Mark’s credits as a performing artist span multiple continents and genres. He began his taiko career in Boston, MA as a performing member of Odaiko New England in 1998. He has since performed with a number of groups in Japan as well as performing widely in Europe and the United States as a touring member of Taikoza. Mark has also collaborated with other artists and groups including Tiger Okoshi, Opera unMet, UpRooted Dance, Arts on the Horizon, and ilyAIMY . Mark is a dynamic and talented performer, but his true passion lies with teaching taiko. In addition to serving as Odaiko New England’s Artistic Director from 2008 – 2010, Mark was the principal architect and instructor for their widely successful classes and workshops. 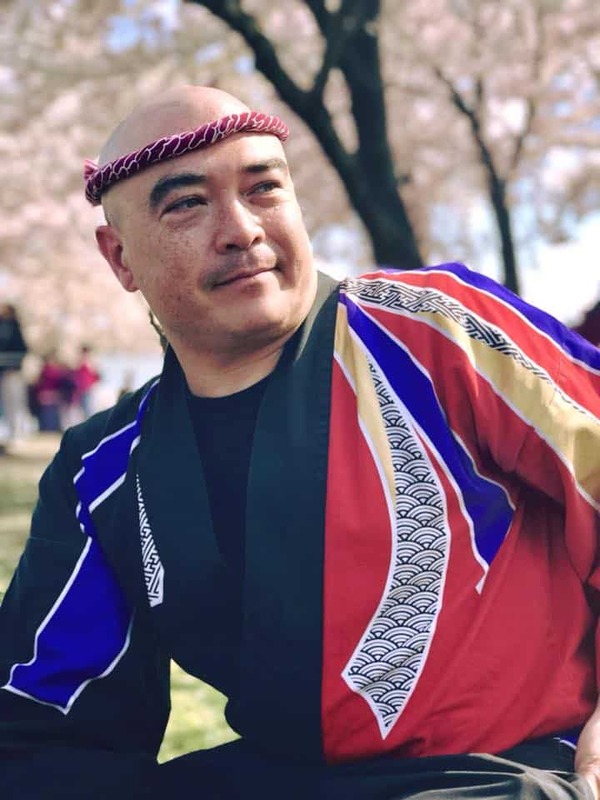 He has also taught in after-school programs and colleges (including as the founding instructor for Wesleyan University’s popular taiko program), as well as the Mark H Rooney Taiko School for his growing number of students in the DC area. Since moving to DC in 2011, Mark continues to teach ongoing weekly classes, offer special workshops several times each year, and perform for a wide variety of audiences ranging from school children to diplomats.